It’s been a while since I’ve last blogged so I thought I better get my bum back in gear. And what better way to do it than to get you all set for Easter with the kiddies. Now, my kiddies are getting a bit bigger now so we have a few Easters under our belts. Everything in the blog today has been tried and tested and should hopefully work for you. There have been many more trials over the years but believe me some of them you really wouldn’t want to read about or see. Just picture those epic fail Pinterest pictures and you will get the idea! Speaking of Pinterest, if you haven’t started following us then get over to Pinterest for a look on our page. So just to give you a heads up on the fails, I thought I would let you in on a few of mine. Hopefully saving you the bother of the inevitable clear up of such epic fails that we have had over the years. So when decorating eggs do remember to boil them first – just picture the scene, three small heavy handed children, and lots of paint and eggs which had not been boiled. It was an egg massacre!! But then on the other hand, one mother determined not for the sequel – egg massacre 2! So eggs boiled to within an inch of life, a rolling them down the hill session after painting (which went much better second time) and again 3 small children. Well it turns out extremely hard boiled eggs do pretty much as much damage as a small rock when propelled at the smallest child’s head! Egg head was an understatement!! 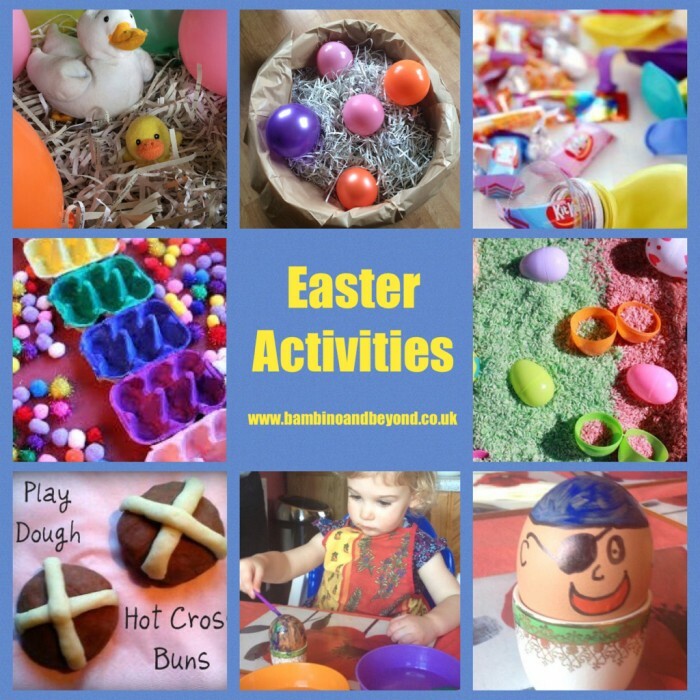 Other fails that may be of interest include, Easter bonnets so far over decorated that they topple small children, handprint cards that ended up printing the hallway, bunny masks that looked like scary tribal cross breeds………. need I go on!! So let’s get down to our favourites and the ones that will work. Each section has a photo collage to show you then end results. Now let’s start with the yummy stuff! My youngest made this one all by himself. He used a Betty Crocker chocolate cake mix (never fails!) but you could do a simple cake mix. There are many benefits to the kiddies, reading and understanding instructions, weighing and measuring, developing creativity as they decorate it. Even the little ones will love helping you mix and decorate. An easy one you can do with even toddlers. You can if in a hurry use some rich teas biscuits or take the time to do a simple cookie recipe. Again all the benefits of above are relevant. The textures of the icing and mallows also present a great sensory play opportunity. Now, again you can make this easier or a bit trickier for the older kids. You can use shop bought short crust pastry or use a simple pastry recipe. We rolled the pastry then used the cutters to cut them into flowers. 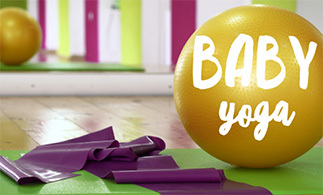 The rolling and cutting is great for developing muscle strength. Then spray oil your muffin tray before pressing the pastry flowers into them. Price the bottom of the flower with a fork before placing in the oven. Once cooked add your filling of choice, we loved lemon curd but jams work well too. Then sprinkle with icing sugar before scoffing!! A great one to do with little ones. Very simple but visually effective. Start by letting them pour and mix the cornflakes, this activity is great for activating the auditory sense. They can continue to help mix the chocolate in and spoon into the muffin cases. This aids hand eye coordination. Add your little mini eggs and even some little Easter chicks to complete your nests. A healthier option but just as much fun. We’ve tried this a number of ways. Start by setting up the chopping board and some knives, plastic or not too sharp and some fruit which you can pre-prepare by peeling and cutting into big pieces for little ones. Although scary, allowing your child to use a knife is a life skill and is another step towards the child’s independence. Let them do some chopping up of the fruit. You can then arrange as we did like a bunny or another shape or add to skewers for a great coordination exercise. You could even be naughty and add a chocolate fondue. A lovely way to add some fun to lunch. All you will need is some healthy snacks, some plastic eggs, and an egg box. For our healthy snacks we used small cuts sandwiches, cubed cheese, popcorn, tomatoes, cucumber, pretzels, grapes but you can use whatever your little one prefers. Add them to your plastic eggs. Now, you can present it in the egg box to the table or to add some more fun you can hide the eggs around the house so they have to find it all before having a picnic fun lunch. A fabulous one to start off your sensory play. Simple to set up and so effective. Great for activating multiple senses, auditory (sound), smell, touch, and I’m sure a sneaky taste will occur at some point. You can simply dye your rice one colour and go for the rainbow effect. You can add flavoured essences to add that wonderful aroma too. My favourites are fudge and coconut. You can purchase these from your supermarket or food shops in the baking isles. So to dye your rice place the rice in a bowl or if doing lots of colours into smaller bowls. Then add a few drops of colouring and essence and mix. Use a spoon to mix otherwise you will have beautifully tie dyed hands. You only need very small amounts of colouring add too much and the rice becomes sticky. Then place in a tray and enjoy. A garden potting tray from your local garden centre or a tuff tray works to contain the rice but even a small tray or plate would work. Now, this is one of my all-time favourite play doughs! Check out our sensory ideas page for our no fail play dough recipe. Start by making a batch of plain dough for your cross. Then make another batch and add some cinnamon, mixed spice and some raisins/sultanas. You could even add some orange peel to give that extra fragrant aroma. It will smell and look so divine you will want to eat it!! Please don’t as it doesn’t taste great – I’m talking from experience here ha ha!! Ok, I think I’ve probably said enough about my disasters on this one but just in case you weren’t paying attention – don’t forget to boil them but not over boil to rock status! Let the, cool and place them in egg cups. Give the children some paint, brushes, sponges, string or any other implements they can create a lovely effect on the eggs. You could also make them into little people. My youngest loved doing this. You can you on googly eyes, cut foam hats, glasses, ears etc. and stick them on too! This is great for stretching their imaginations. Then find a nice big hill and roll them down. This can give way to many games too, who can roll the fastest, the furthest, who can throw the highest, and who can run and catch/find their eggs. 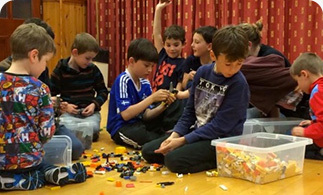 Endless fun for young and old. This is one we just discovered this year and it’s been a big hit even with my 9 year old but this could work right to little baby. We got out the paddling pool (wishful thinking) and covered all around the edges with brown paper. We then emptied our shredded paper bag into the middle. You could get them to rip up paper, magazine, newspapers; boxes etc. and make their nesting area. This is great for hand skills and coordination. Then we blew up some balloons to make the eggs and found some birds in our cuddly toy box to nest in it. Hours of fun were had sitting in it, pretending to be birds, playing with the balloon eggs, pretend hatching events. At one point grandad was trying to hatch eggs by sitting in it too so really a fun way for young and old to play together. This is quite a noisy activity so don’t try it just as you’ve put baby for a nap or are looking for a peaceful game. You will need to prepare the balloons in advance. Find small treats or toys to fill your balloons with. You can then either stretch the balloon neck by hand and pop your treats in before blowing up and tying or you can cut the neck of a small bottle off and pop it inside the balloon neck and pop your treats in that way. You could even add to the fun by letting the kids decorate the balloons with pens or stickers before the popping begins. Then set them out over the floor and let the children pop them. Make sure your treats and toys aren’t breakable as they will get stomped on. This is a fabulous messy play activity. Great for sensory stimulation, developing strengthening hand muscles and grasp technique. What you will need is corn flour, shaving foam, pink colouring and strawberry essence. We used cheap supermarket brand foam to keep cost down. Mix the bag of corn flour with around 3/4 of the can of foam, add a few drops of food colouring and essence and get the kids to mix, mix, and mix!! Get the hands in and squelch away until it’s all mixed up and has made lovely pink dough. 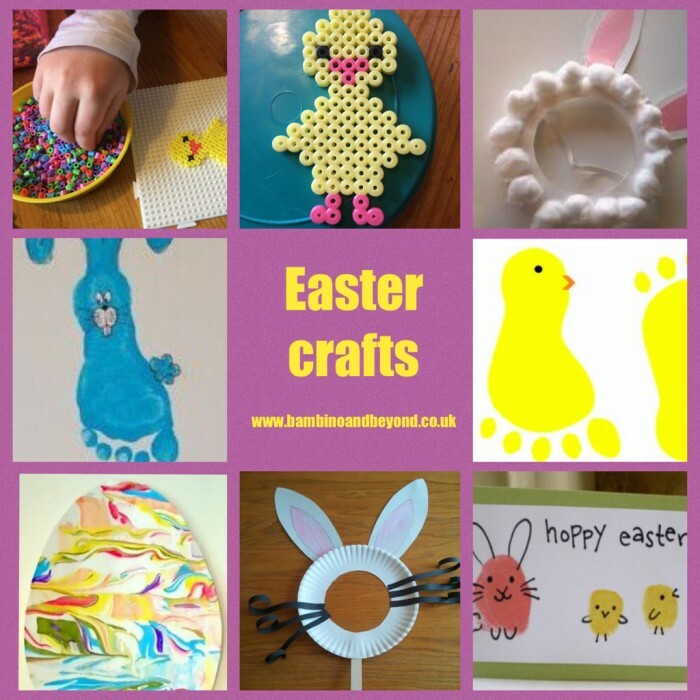 You can then use small craft items like googly eyes, cotton wool, pipe cleaners, buttons, paper or anything else you have laying around to create little Easter bunnies. 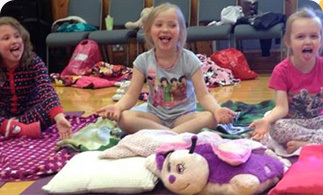 This one is a lovely calm quiet activity that any age can enjoy – even adults. I love it as my OCD tendencies kick in and I love seeing the Pom poms all sorted out in colours. All you will need is some bags of coloured Pom poms. If you are doing this with toddlers just make sure you supervise if using smaller Pom poms as they can be a choking hazard. You then need some egg boxes. You can get the kids to paint each one a different colour to match the colours of your Pom poms or you can add a coloured label to each box for them to match it too. You could also use coloured bowls, plastic bottles, or coloured bags. We enjoyed painting the boxes first as part of the activity too!! Messy but fun!! Then set the boxes out (when dry) and let the sorting begin. You can increase the difficulty by giving them some tongs, spoons or other utensils to use to transfer the Pom poms. OCD heaven ha ha!! We recently made fairy soup in class and the kids (and adults) loved it!! Easter soup can be made with really anything you want that you have in the house. We set up by using a plastic storage box on the floor with some towels under it but a small paddling pool for larger scale or a bowl for small scale will work too. Add water, plastic eggs, food colouring, glitter, some essential oils (we used lavender for a calming effect) and anything else you have lying around. We have used flower petals and foam shapes before too. Now give the kids some utensils like spoons, a sieve, a whisk or tongs. They can then catch the eggs, stir the soup, whisk it up and have lots of water fun. Great for hand eye coordination and a calming sensory experience. 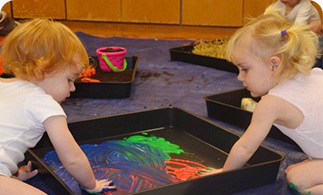 Finger painting can be done from baby stage and makes a lovely gift for the doting grandparents or other family members. Some card or paper, some paint and a black pen is all you will need, oh and perhaps some baby wipes at the ready! Put some paint on a little plate and then press your little ones finger into the paint. Then press onto the card/paper, set aside to dry and then let your little one have a play in the paint before cleaning up time. A good tip is doing just before bath time so you can head straight to the bath to clean up. Once the prints are dry you can add the legs, beaks, ears etc. to make little chicks, bunny rabbits etc. I have added a picture to give you some ideas and Pinterest is always a great pathway to more ideas. Hama beads are a brilliant craft to aid hand skills and coordination and introduce early mathematics. Using a template found on our Pinterest page will make it easier or you can let your kids use their creative side and make a design of their own. We tried little Easter bunnies and chicks, again lovely gifts for family and friends. Using a potting tray or tuff tray to put the beads in helps them rolling off your work surface all over the floor and ending up blocking your Hoover – the voice of experience here ha ha!! Bunny masks are a must have for Easter and simple to do! All you will need is some paper plates, white card, cotton wool, lolly stick, glue and some scissors. Fold the plate in half and cut the centre out – the face hole. Cut your ears from the card and either glue or staple your ears on. You can then have some fun gluing the cotton wool all around to create your bunny. Finally add your lolly stick with glue or cello tape. You can be more creative and even add whiskers with pipe cleaners or stripes of paper. Check out our picture to see our one. You can then play lots of games hopping, jumping, hiding your plastic eggs and finding them. Lots of jumping will not only wear your little ones out but will help develop those all-important gross motor skills. Ooohh!! I love this one!! You will need to get your posting tray/ tuff tray out again or if you don’t have one a small tray or even plate would work. You will then need shaving foam, paints and card. You can either cut your card into egg shapes before or after you paint. Squirt the foam into the tray or plate and drop the colours of paint of your choice around the foam, then use a toothpick, spoon or paint brush to swirl the paint through the foam. The place your egg shape/card on the foam. Leave for a few seconds before lifting off. You will them need to gently wipe away the foam. You should be left with the paint on the card in a beautiful swirling design. Then have fun playing in the foam!! You could do these at the same time as your finger prints and again can be done from baby stage. Turn their hand and feet prints into bunnies, chicks, and carrots etc. check out ourPinterest for more ideas!! 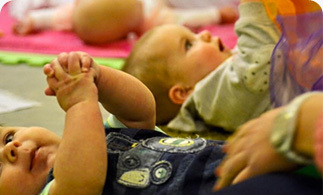 Each of these textural experiences you let your child experience you are supporting their brain development. Each of the egg hunts brings a new experience and different benefits. You don’t need a huge space to conduct a hunt, even your living room can be a playground of fun and excitement. Now, I’ve tried this a few times and it’s trickier than it looks. I think I have it sussed now!! My tip is to crack your glow sticks to activate them and then tie them in a knot before putting them inside the plastic egg. Don’t leave them too long before you start hunting as they will fade. If they keep popping open a small piece of tape around the edge of the egg helps too. Egg hunting in the dark helps with eye tracking and focus. 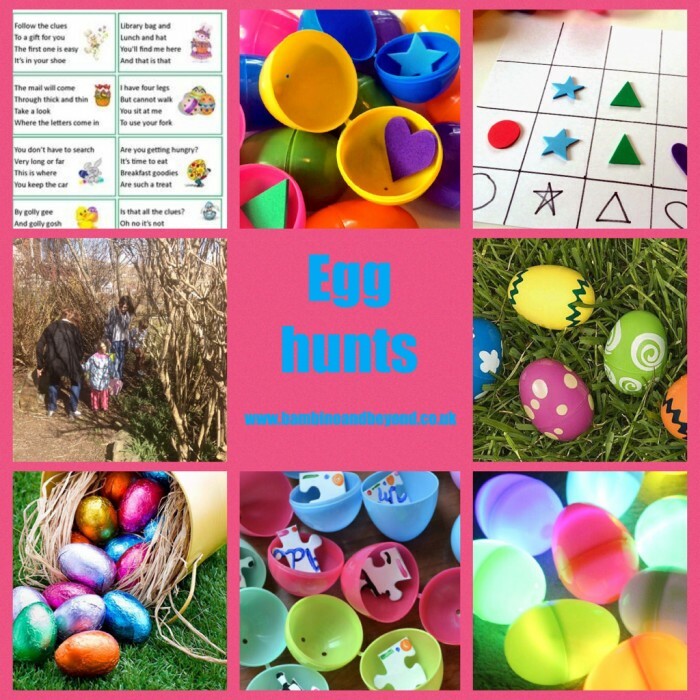 It can be lots of fun and even when you have found them all its fun to play in the dark with the eggs, rolling them around, making shapes in the air with them, throwing and catching. This is great for the older kids. Get a small jigsaw, not one with too many pieces or they get fed up hunting. Great for a group of them as it helps develop team work and cooperation. Hide each jigsaw piece in a plastic egg and hide them. As they find the eggs they must take the piece out and try to build their jigsaw together. Well not much to say here really……other than mmmmmmmmm yummy!! It’s always fun to hide some chocolate eggs or even add your own treats to your plastic eggs. It’s lovely to have a treat at Easter. With my ones I get them to hunt the eggs together and then split their haul between them equally or you end up with world war 3 when one gets more than the other. We had lots of fun last year with our clue hunt. I’ve done this a few different ways. Firstly I hide a few eggs at each location for the clues. But last year I put a small bag at each location with something different inside. For example I had popcorn at one, sweets at another, juice at the next, a DVD at another. Everything for a movie night!! You could also do pamper stuff for a girl’s hunt, like face masks, nail varnish, foot soak etc. Our clues where outside as well as inside and everyone had to work together to get all the prizes. Check out our Pinterest to find clue ideas. For younger ones you could draw little pictures of where each prize is hidden too!! A fun way to do shape recognition and organisation. Cut out some foam shapes, for example squares, stars, triangles, circles. You can purchase sets online too if you don’t have time to cut them. Place them into your eggs and hide them. Draw a chart with the shapes at the bottom so the kids can match them up in the right column. 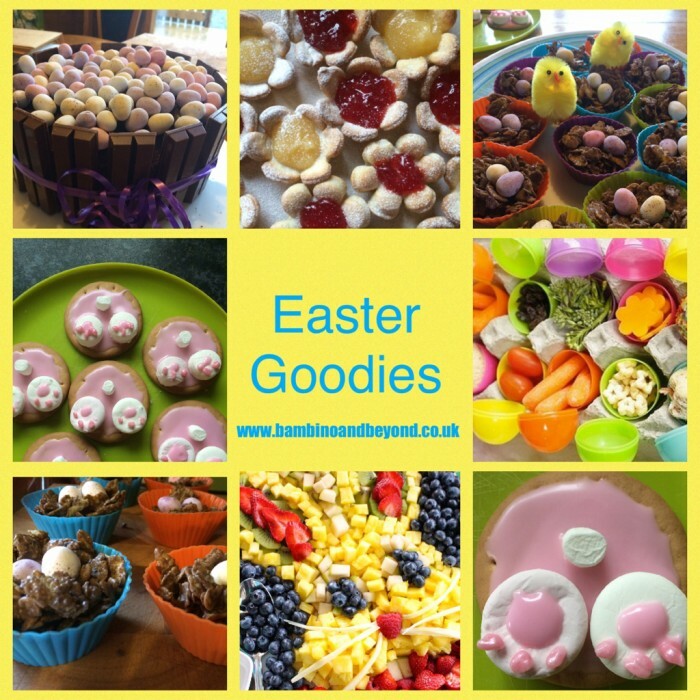 So, I hope that you have a fabulous time trying out some of our Easter fun!! Just remember to relax and enjoy each activity – a hard task I know!! If it doesn’t work or go down as well as you were expecting don’t beat yourself up about it, don’t lose your temper (tricky I know!) and whatever you do don’t throw those overdone eggs/rocks!! Ha ha!! 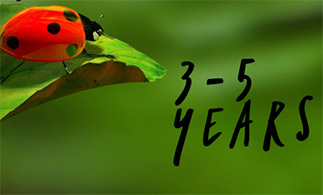 Take lots of pictures and don’t forget to share them with us on our Facebook pages. I can’t wait to see how your little ones like our activities, and don’t forget if you do end up with an epic fail like me just laugh it off and show us, so we can laugh too! Laughter is best medicine, alongside wine, chocolate or maybe a large gin!! Go forth and embrace the Easter holidays mummies (and daddies) we are right here behind you holding the gin.